Gift tags are finally here. Sold in packs of ten and printed on a luxe matte paper with an eggshell finish for ease of writing. 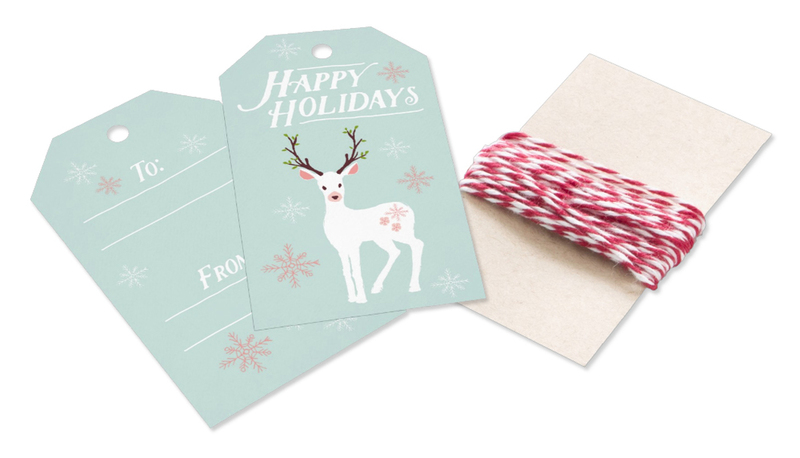 Choose from four colors of twine to complement your tags. Blue/white, Red/white, red or gray. These gift tags come with a pre-punched hole.